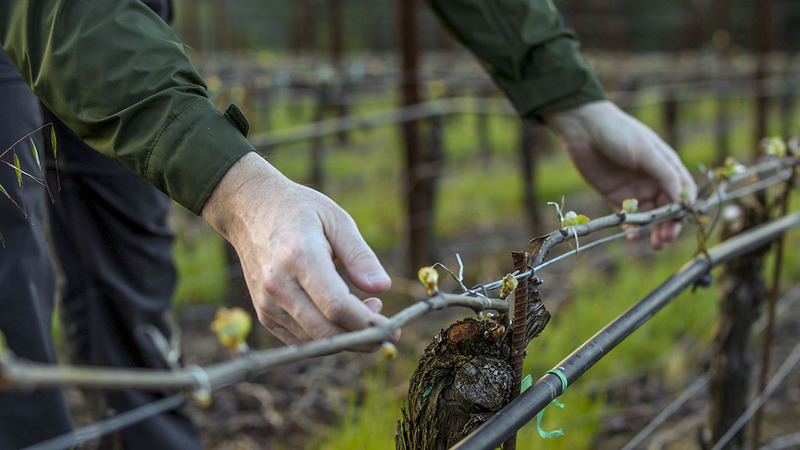 As the vines at Wildrose Vineyard evolve into their early maturity, we are seeing the vineyard’s relative quality become more apparent with each vintage. The vines’ growth pattern has settled down so they no longer require irrigation or a great deal of canopy manipulation during the growing season. This all translates into a feeling of effortless natural balance in the final wines and our 2008 bottling makes a strong argument for ‘Pinot of the vintage’. It shows gorgeous fruit purity in this unusually hot harvest and retains the vineyard’s signature vibrancy and acid spine. A victim of the challenging spring frosts we endured, there was an element of variability in fruit maturity at harvest that had the positive effect of ensuring harvest sugars were more normal than many other vineyards. A long moderately paced fermentation, which included some whole clusters, further enhanced elegance and complexity and has really allowed the transparent vineyard character to clearly shine. Although this is not a large scale overtly powerful Pinot, it should age particularly well on the back of its perfect harmony between fruit extract, fine tannins and prominent acidity. We are particularly pleased with this lovely wine. Medium dark ruby red; full rich enveloping nose with great complexity and multiple layers. Grassy sour cherry notes darken to violet and subtle truffle tones. Full spectrum of ripe fruit flavors from red currant to darker cherry and early forest floor complexity. Supple weight and generous breadth with youthfully assertive tannin and a touch of bittersweet cocoa powder to finish. Drink between 2011 and 2020.